Earlier in this series of posts, we alluded to the topic of probe loading, which is an outcome of the fact that to make a measurement, an oscilloscope probe must "steal" some energy from the circuit or device under test. 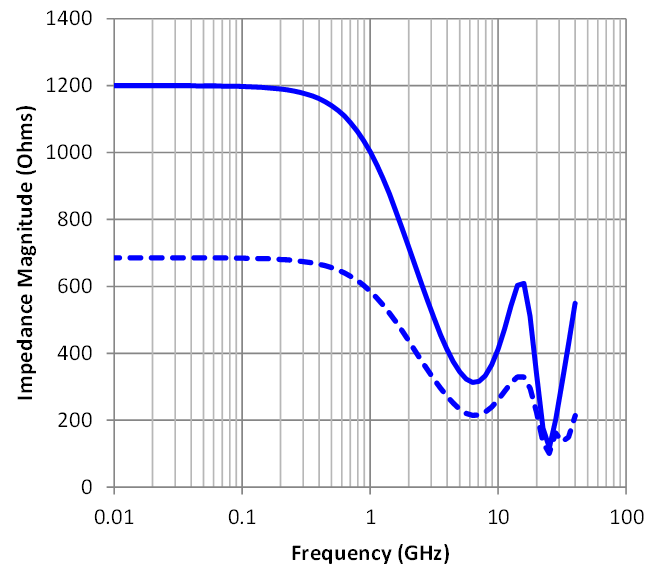 Thus, the probe's tip must have a finite impedance across the frequency range of interest. 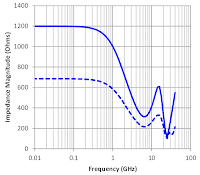 The topic of probe bandwidth is a broad and deep one. We began our discussion of bandwidth in an earlier post with some basic information about what bandwidth means and the importance of the -3 dB point. Next, we looked at a Fourier deconstruction of a square wave into its fundamental and the lower-order harmonics, and covered the importance of bandwidth in capturing enough harmonic content to understand the signal's overall shape.